There are quite a couple of starcraft Facebook groups setup but unfortunately most of them have lapsed into nothingness and there have bene no useful or meaningful updates on those groups recently. 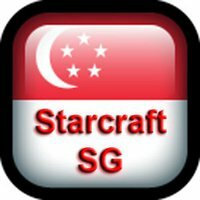 What this Facebook group is, is a Singaporean Community Facebook group so once you click "Like" or "Subscribe" to the thread, you'll get first hand news on the Singaporean Starcraft Scene, as well as notable news around the region/world! Life is short, why waste it on sleep. Last edited by Mezza; Fri, 5th-Nov-2010 at 3:15 AM.